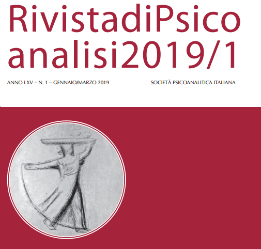 In the last 3-4 years, the “Psychoanalysis and University Committee” has been involved in creating a record of IPA members working at various levels in the University and of their teaching and research activity. In the IPA website, information and statistics will be displayed about the involvement of IPA members and candidates in Academia. Moreover, in the Psychoanalysis and University section of the website, are being put together all the graduation and post-graduation University schools and programs that provide a solid and serious psychoanalytic base all over the world. All this was done with the aims to create a record of psychoanalysts working in university and set up a network among them, a network which is important for allowing psychoanalysts teaching and researching in university to compare teaching and research programs, improving an effective coordination and interaction among them and, eventually, starting to develop common programs and researches, and coordinate applications for funding. In conclusion, this project is aimed to promote psychoanalytic thinking inside university, to enhance the confrontation among the various ways of transmitting it and to increase our possibility to remain present in academia. Together with the members of the Committee, I have also organized in the past – and will go on organizing in the future – panels at the regional and intercontinental IPA meetings (as we did in the recent Mexico City IPA Congress and will do in the next Paris EPF Conference; but see the abstracts in attach) on Psychoanalysis and University. Always, after this panel, we have had one hour and a half meeting of the “Psychoanalysis and University Committee”. At present – in agreement with Stefanie Wilke (the new Co-Chair for Interregional Coordination of the Outreach Committee) – I have written to all the member of the “Psychoanalysis and University Committee” and to all those who answered to my research on Psychoanalysis and University in Europe asking them to organize outreach seminars in their universities in collaboration with the Local IPA Societies, and to look for the possibility to create joint Masters, PhD Courses and other between University and the IPA Societies, and to inform me about any activity organized by them in this direction. Unfortunately, till now, very few of them replied and shortly (for example, Victoria Castañón, Johannes Lehtonen, Luc Michel, Susann Wolff, Frances Salo, Simona Reghintovschi, Solange Carton) even after having repeated my call. In this regard, at the European level, I – Franco Borgogno – have personally been invited by the Portuguese Psychoanalytic Society to join a working group on Psychoanalysis and University in Lisbon with a round table with other colleagues from the Lisbon and the Portugal Universities. The same I will be doing in Brazil in August 2012. In North America, James Gooch has sent my request to gather data on the IPA members and candidates working in academia to each Society, and he has asked many times – with much difficulty – to each of them to appoint a person to oversee the gathering of the information. Only few data have arrived from the North American Societies and the only sure partner of this project has been Jeff Prager. Also from South America Societies data have started to arrive, but they are very incomplete and chaotic, and the process has been made even more difficult by the illness and the recent death of the Co-Chair Pedro Boschan. In any case, Adela Leibovich de Duarte, as you know, has replaced Boschan and she will surely help to continue to carry on the collection of data from the South American IPA Societies. Since when I have been appointed IPA Chair, as it had already been done by the previous Chair Adela Leibovich de Duarte, 2 scholarship have been funded each year for PhD students and researchers (interested and involved in IPA psychoanalysis) to attend the IPA Research Training Programme so that valuable PhD students or researchers could be helped to carry on both their university career and starting (or continue) the IPA training. The aim of all this was that we absolutely need to continue to be present within Academy. 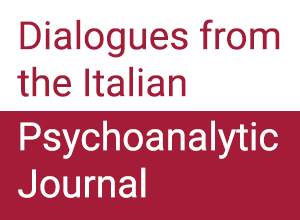 We have also worked (especially with an IPA colleague from Rome and another one from Vienna, and with many other psychoanalysts involved in University) on the possibility to build and launch an International and Indexed Journal on “Psychoanalysis and University”. This work is still in progress. This Journal’s project has already received an informal positive welcome by European, North and South American researchers and psychoanalysts on whom, by the way, we can already count if we will achieve this goal. 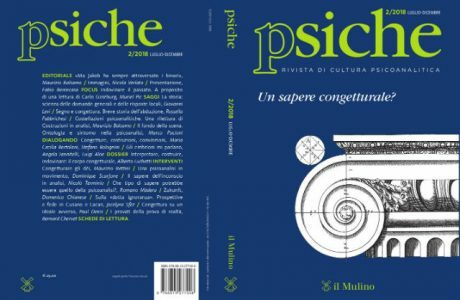 The aim of this project is that psychoanalytically oriented PhD students and young researchers could publish their papers in an indexed journal in order to have more chances to continue their University career and to have a place where they could share and confront psychoanalytic conceptual work and research, and above all to promote it and its methods. Lastly, we had had in mind the project to organize an international conference in Turin, Rome or in another city on “Psychoanalysis and University” (in case of Rome or Turin, this could have been done in collaboration with the Doctorate School and the School of Specialization in Clinical Psychology of the University of Turin and Rome, and with the Italian Psychoanalytical Society) where will be invited IPA psychoanalysts from the three IPA Regions working at University in order to discuss what we can do today for the promotion and survival of psychoanalysis, both in academia and society. This is all what the Committee has done, but I will add a final observation about working within the Committee. The main problem of the committee is that no one replies to e-mails and calls (this is a shared opinions of all the chairs), and that very few colleagues participate in whatsoever activity organized or proposed by the committee. I have personally asked a dialogue more and more times with the members about the objectives of the mandate and about new possible perspectives of work, but in concrete there is no reply, and this is devastatingly discouraging.